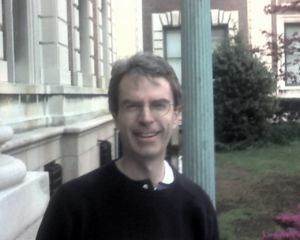 Andrew Schlafly is a conservative lawyer and former engineer who founded Conservapedia, an alternative to the liberal Wikipedia. Schlafly teaches homeschooled children, specializing in World History and Economics. Conservapedia developed as a result of his World History course, with many lectures made available on the site for free. Schlafly and several of his former students continue to lead the project, with many current students contributing content. Andrew Schlafly has taught homeschoolers online since the late 1990s, and in person since fall 2002. Several of Andrew Schlafly's prior course materials are available on Eagle Forum University. In November 2006, Schlafly created the wiki-based Conservapedia. He had read a student's assignment written using Common Era dating notation, rather than the Anno Domini system that he preferred, and decided the need existed to create an alternative online encyclopedia. Shawn Zeller of Congressional Quarterly reported that Schlafly was "an early Wikipedia enthusiast" that became concerned about liberal bias after Wikipedia editors repeatedly reverted his edits to the article about the 2005 Kansas evolution hearings. Schlafly's expressed hope was that Conservapedia would become a counterpoint to the liberal bias that he perceived in Wikipedia, as well as a general resource for American educators. About CLEP The College-Level Examination Program. ↑ Catherine Kosarek Wedding news. November 25, 1984. ↑ Medical Attorney Andrew Schlafly Posted on March 23, 2005. ↑ Simon, Stephanie. "A conservative's answer to Wikipedia", Los Angeles Times, June 22, 2007. Retrieved on November 2, 2007. ↑ Zeller, Shawn. "Conservapedia: See Under "Right"", The New York Times, March 5, 2007. Retrieved on June 8, 2008. ↑ Siegel, Robert (March 13, 2007). Conservapedia: Data for Birds of a Political Feather?. Retrieved on July 26, 2007. ↑ Chung, Andrew. "A U.S. conservative wants to set Wikipedia right", The Star.com, March 11, 2007. ↑ Johnson, Bobbie. "Rightwing website challenges 'liberal bias' of Wikipedia", The Guardian, March 1, 2007. This page was last modified on 29 February 2016, at 08:13. This page has been accessed 120,793 times.